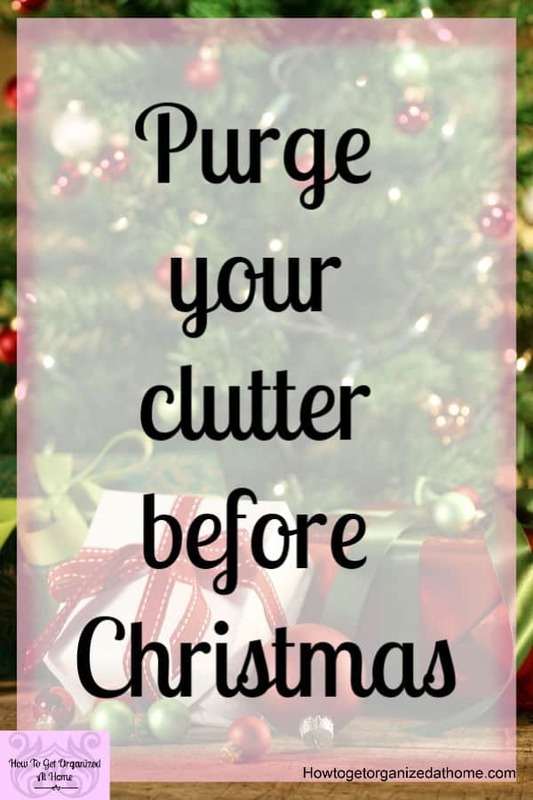 How To Purge Your Clutter Before Christmas This Year! 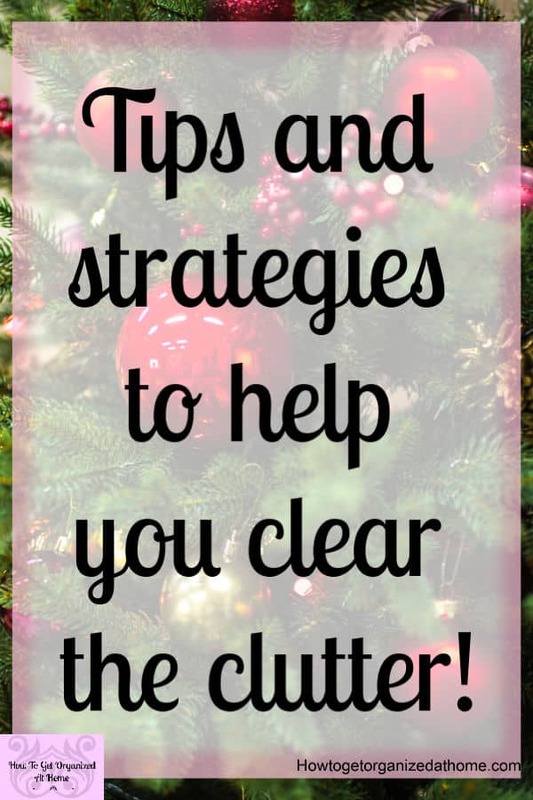 Do you need to purge your clutter before Christmas? We know that more things will be coming into our homes in the next few weeks being prepared will mean a lot less stress later! It’s not about a major organizing project, but a way to lighten the load. You shouldn’t be thinking of more storage but reducing the items in your home, making room for anything new. This isn’t the beginner’s guide to Decluttering, let’s save that for another post! But I will give you a basic idea of decluttering and the process you need to follow! Thinking about these questions to help you declutter! Is it something I could throw away today? This is those very basic questions you need to ask when on a decluttering mission. They might seem like simple questions, but they will have a major impact on the clutter in your home! But be warned they are emotionally draining. This isn’t about getting your home totally clutter-free but taking those first few steps to begin and to understand the process! How Often Do You Need To Declutter? You should make it a general rule in your home to go through it on a regular basis and to purge the excess! It’s something that you need to do regularly as clutter seems to accumulate without you really trying! You are just removing the dead weight in your home! You have items in your home that you no longer need or love; the option to purge becomes an essential tool to remove the excess clutter, which everyone builds up over time. Clutter is great at hiding in plain sight! It knows that by being there all the time you will begin to just accept it as part of your home! You become blind to the excess that you live with, it becomes a burden that you don’t even see. How much clutter you have will depend on how you live and what you perceive as clutter. It doesn’t have to look like your house is bursting at the seams with the number of items you have, it’s about how much of these items in your home that you actually need and want. Do you need multiples of the same item? Making a dent in the clutter before Christmas is a great idea, it will make you feel better, and getting some space in a drawer or room is a great morale booster, especially as you know more things will arrive soon! First, you need a plan! How do you want to organize your home and what do you need to reduce? For example: If you have one child and they are growing quickly and need new toys, their old baby toys will potentially be clutter, however, what you do with them is the most important decision. Clean and store them, you might want another child and these toys would then be required. Throw them away if they’re broken. It’s about looking at what you need and want for your home to work and making a plan on how to get there! Try storage boxes like these! Add labels for places you can donate and when they are full you take it to the place named on the label! There is no point pulling items out that you no longer want or need without a plan as to what to do with them. If they are left sitting in the way they become even more annoying with nowhere to go. When you have plans for items that have become clutter, it is important not to pull too much out at once. You’ll be surprised how much time it can take to go through the things that you own but no longer need; it is often the emotional feelings towards the object that is the hardest to deal with. It can remind you of a memory from the past and this makes it difficult to purge the clutter. Don’t feel bad about how difficult it is to purge your home from clutter, everyone will have issues at some point! This is why it is important that you do this task in small batches; it’s emotional and can bring back memories that can hinder the process of getting rid of the clutter. If those memories are too strong and you aren’t ready to let, go just yet and you still have space then hold on to the item. If you don’t have space you might just need to let it go, but before you do remember those feelings and acknowledge them. Pushing feelings down and burying them can have a negative impact on your mental health! It’s that time of year where you know you will add more to your home, getting rid of those items you don’t need helps to free up space! If you are in need of more storage for children’s items, it is difficult for children to let go of toys willingly. I found that when my children were younger it was easier to purge their toys at this time of the year because they’re caught up in the season and can even help with the sorting process. It is important, too, for children to understand that they don’t need to have a lot of possessions and that it is good to give them to other children who might enjoy playing with the item that is no longer suitable for them. But don’t get rid of your child’s things without them it could become even more difficult for them to let go of stuff in the future! It is not about emptying your home but just getting rid of the excess that you don’t need, what you do with the items is a personal preference. If you need extra money often it is a good idea to sell these items you don’t need, as a way to bring in some extra income. Something that we all might need at this expensive time of year! However, if you don’t need the money and the item is still in good condition you might consider giving the item to a charity, so someone is able to buy it at a reduced rate from the charity shop. By purging your clutter before Christmas, it will give you more space for the items that you receive as gifts at Christmas. However, there are more benefits than just that, there is less cleaning to do if there is less stuff around and this is always a bonus especially at this time of the year. But also, less stuff allows you to see your home, you don’t need it filled to the rafters, it’s OK to have drawers and shelving that is empty! 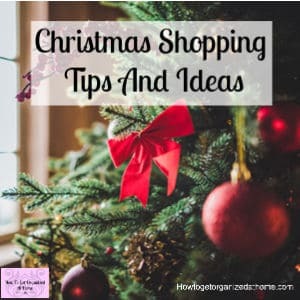 It will mean that when Christmas is over you are not looking for more storage to store even more items because you will have the space already and waiting. If you need more storage and you are not increasing the size of your family, you might just need to purge what you have, reducing the need to increase your storage option, saving you money long-term. Therefore, this is an ideal time to start a pre-Christmas purge. Why should you consider decluttering your home now? It will allow you to free up space ready for the new items that will appear on Christmas morning. It might help towards some of the costs of buying presents if you are able to sell the items or it might just help someone who is in need and can’t afford the item new. 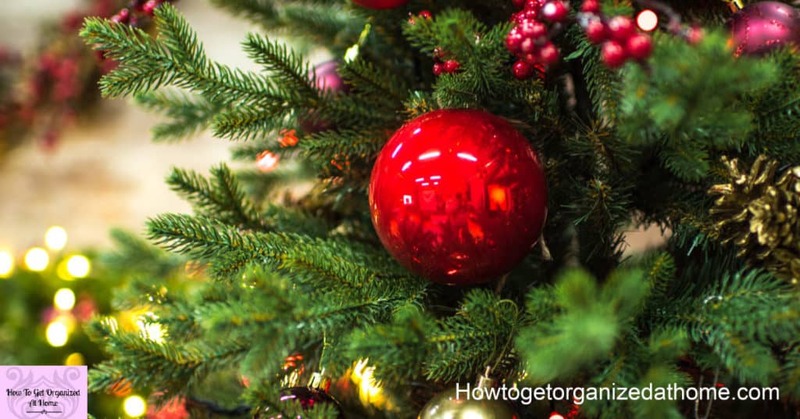 Whatever the reason, if you need to purge your clutter before Christmas, it is one item to cross off your to-do list. How To Reduce Dust Mites In The Bedroom? Great post. Since I’ve joined your link ups I’ve been attempting to purge my clutter. I’ve managed to do little bits at a time, and you’re right, it is an emotional process. Some things I’ve set aside to sort later, other’s I’ve sold, and I’ve thrown out a lot of clutter in the last couple of months. Thanks for being my inspiration! You are so right – we should declutter NOW as Christmas presents will need homes, too! It is hard to throw away some things, but we need to really search our hearts as to why we are keeping some things. Memories shouldn’t need physical reminders, which clog our homes up with things that are beyond usefulness, in other words – clutter!